Discussion in 'Windows' started by RGiskardR, Sep 14, 2018. Microsoft announced plans to deprecate the classic Disk Cleanup tool in Windows 10 on the official Windows and Windows Server storage blog. When Microsoft released Windows 10 it made its intentions clear that it wanted to move away from classic tools such as the Control Panel. No one imagined that it would take the company that long to do so. Only some Control Panel applets and tools have been migrated so far to the Settings application or were published as UWP applications; Windows users and administrators still juggle between the Settings app and the Control Panel, and while Microsoft makes it harder with every release to access the Control Panel, it looks as if it will be remain a part of Windows 10 for a long time. A new build of Windows 10 version 1809 showcased new Storage Sense functionality in April 2018. 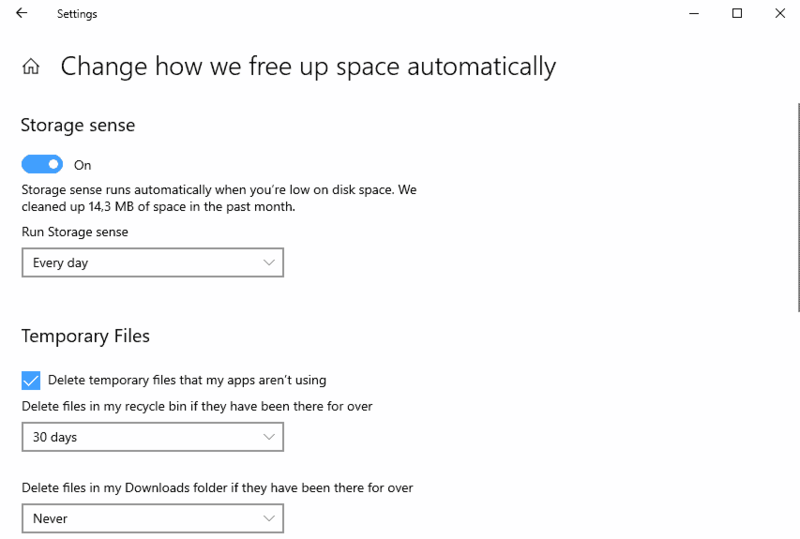 Basically, what Microsoft did back then was to copy functionality provided by the classic Disk Cleanup toll (cleanmgr.exe) to a new "Free up Space now " section in the Settings app. Windows 10 users can access it by launching the Settings app on the device with the shortcut Windows-I, and by selecting System > Storage > Free Up Space Now". The feature was integrated in Windows 10 version 1803, the April 2018 Update. jerzy6012.50, Trim and silversurfer like this.